Request a call back at a time that suits you, simply complete the form below and one of our consultants will be in touch. Crossrail continues to boost house prices across London and the Home Counties, and Woolwich, as we predicted in April 2015, has become one of the fastest growing towns. London’s housing supply has fallen behind demand for many years now, and this has forced both house prices and rents up. London has needed 42,000 new homes per year for the last 20 years, but house building has failed to meet demand. The biggest imbalances are seen in places that offer the best investments, such as east London. East London’s transformation started with the development of Canary Wharf during the 1990s, and then in 2012, the Olympic Games generated more investment and growth. Now with Crossrail, which is Europe’s largest construction project, prices are moving upwards again, which means Woolwich is one of London’s hottest residential investments. 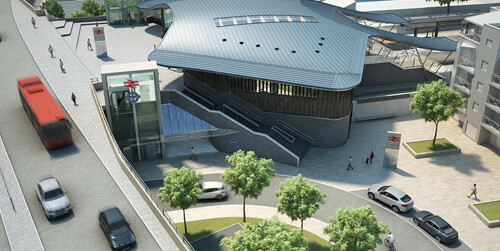 House prices are expected to rise in all areas surrounding Crossrail stations. Already, house prices have increased by an average of 31% since the new line was announced. The new line is connecting in new areas to the centre of London, and dramatically shortening journey times for many locations that were already on an underground line or main line. Much of the growth in house prices has been in the Hackney, Tower Hamlets, Lewisham, Newham and Greenwich areas. The latest predictions are that Woolwich, in the London Borough of Greenwich, will gain the most, with Whitechapel, West Drayton and Ealing Broadway all not far behind. The JLL Crossrail tool reports that house prices around Woolwich have risen by 25% since 2008, and that prices rose by around 18% in the 12 months to August 2016. Further growth is expected in the run up to the line opening, as more business and retail investment transforms that area. One of the biggest Crossrail inspired developments is the The Royal Arsenal Riverside development, which at a cost of GBP1.2 billion, is providing new parks, retail, food and beverage outlets and a performing arts venue, all close to 1 km of riverside environment. Woolwich now has the largest urban supermarket in inner London, along with several other newly revitalised areas of the town. Future developments include 1,500 new homes and over a 1,000 new jobs over the next five years. Woolwich is popular among young professionals who work in the city, Canary Wharf and central London. In 2011, 49.1% of the population was aged 20 to 44, and 39.4% of the population was in full-time work, 9.9% in part-time work and 8.9% self-employed. Greenwich is a major commuter zone, with around 60% of its working residents commuting to the city. The most popular career sectors are IT and communications, supported by the “Digital Peninsula”, which is centred on the O2. The rental market is robust in Woolwich, as it is largely supported by the excellent transport links. As well as the forthcoming Crossrail, Woolwich is also served by the DLR, mainline rail services and ferry services, as well as good bus services. Crossrail will provide a new 8 minute link to Canary Wharf, and Liverpool Street will be just 14 minutes away – perfect for London’s financial sector. Greenwich offers the highest yields in London too, with annual rental growth expected to rise by 5-7% up until 2020. Crossrail is now only two years away, so now is the time to invest in the region to benefit from the surge is property prices and rental income that we expect to see over the next 24 months. How long will the London housing market pause for thought? Will Brexit break the 18-year house price boom cycle? Register your details to receive the latest market updates and property development news.